Dual function: Can function with or without Wi-Fi connection. Act as recording purpose if no Wi-Fi at home. You can only view from your phone when you are within the CCTV area. 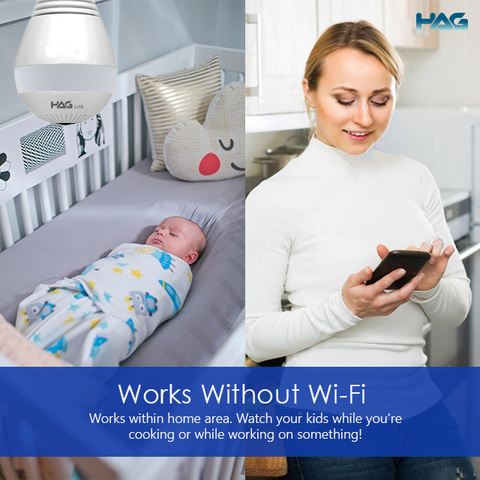 However, if it’s connected to home Wi-Fi, you can view it anywhere you are. 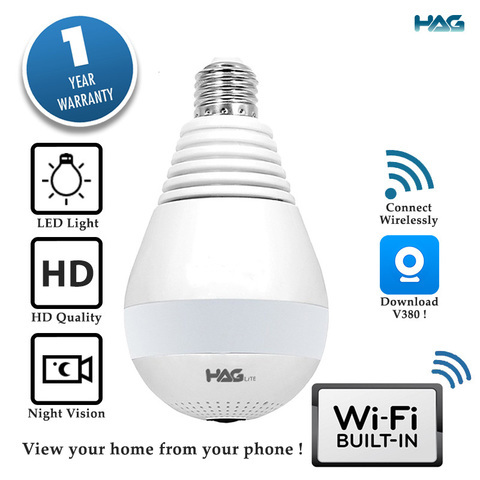 Acts as an LED Bulb and CCTV Camera. No blind spot and excellent night vision. High quality video resolution: 960P HD (1280 X 960), 1.3 Megapixels. 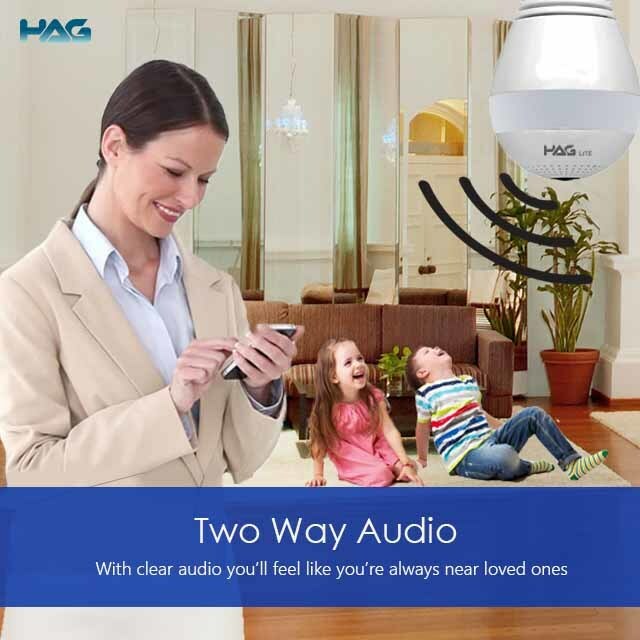 Two-way audio: Built in speaker and microphone where user can hear the sounds from the video and speaks through the CCTV using their phone. 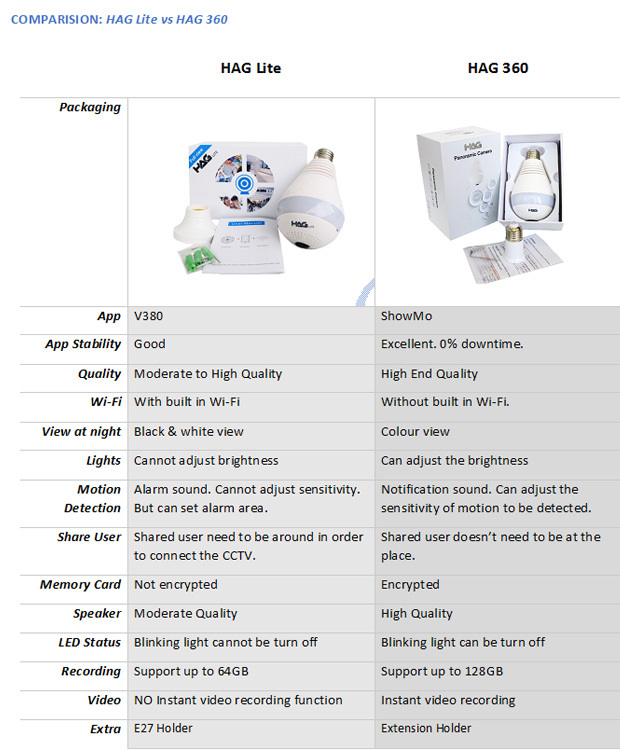 All CCTV function are controlled from the phone’s app, including the LED light function. Can take photo on the spot and save it to your album. You can still rotate your photo for 360° even its saved in your app album. 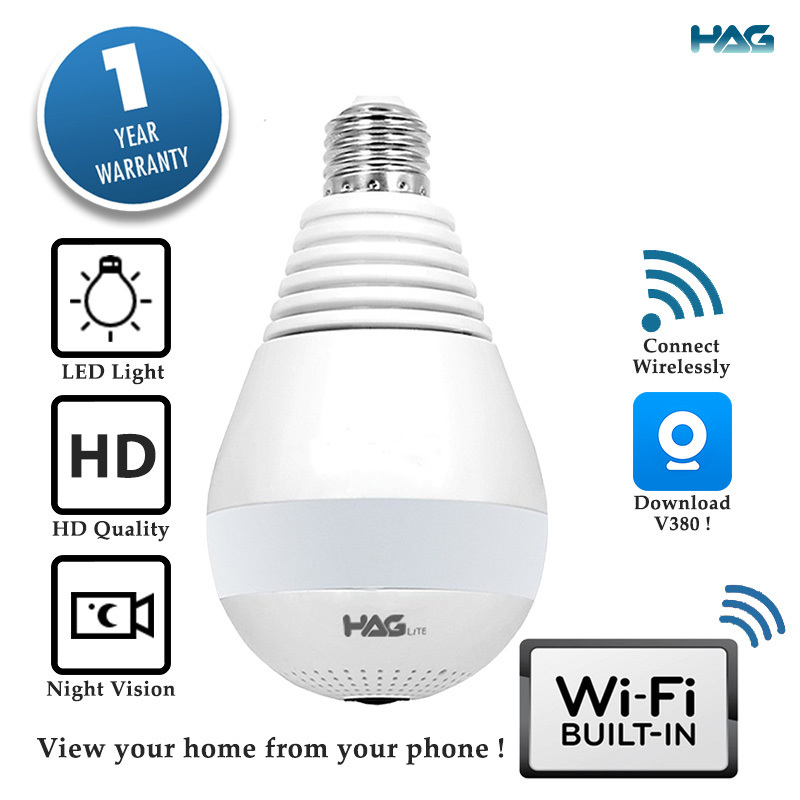 Switch ON / OFF LED Light from phone anytime you want and anywhere you are. 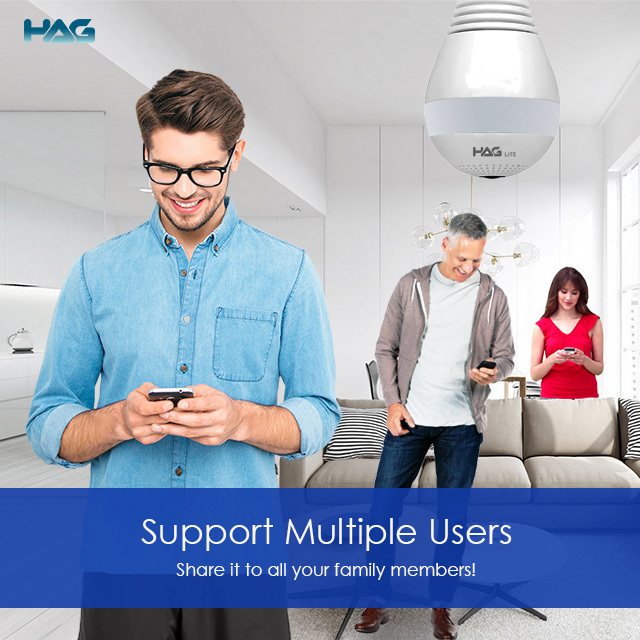 Unlimited Users: Share device to unlimited users. 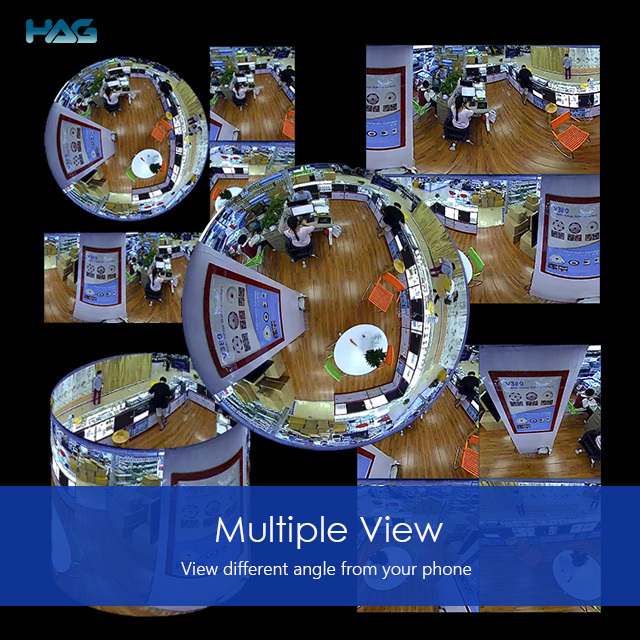 All users can view at the same time from their phone. LED Light Sensor: Can set as Auto or Manual. If it’s set to Auto, the lights will turn ON/OFF automatically when the surrounding gets dark/bright. 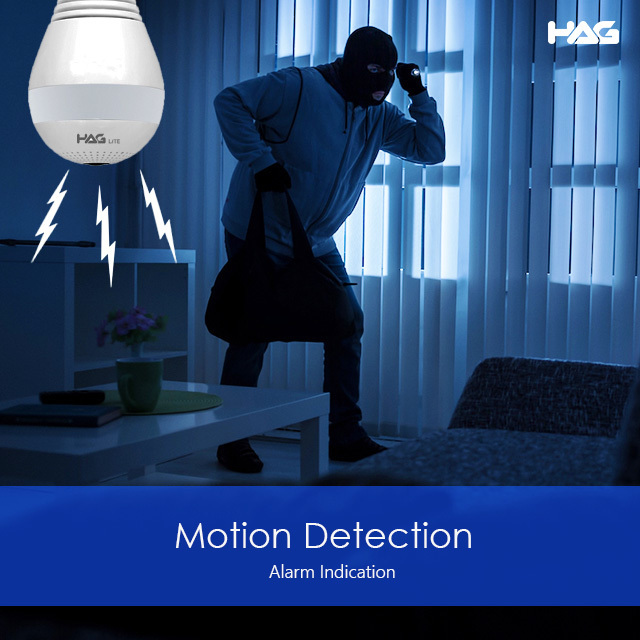 Motion Detection Sensor: Alerts user by alarm when there is a motion detected from your home. You may set the time to detect motion. Micro SD Card Slot: Suggest to use Class 10 Micro SD Card for faster speed. All recordings will be saved automatically and will be recycle once SD Card is full. 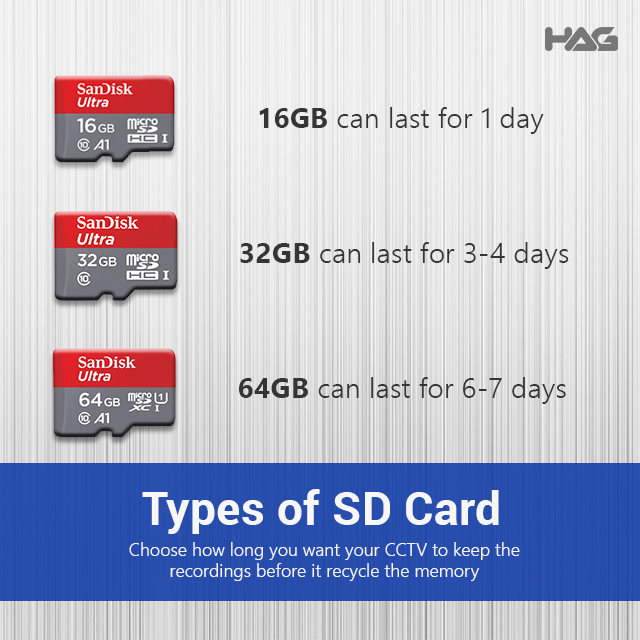 A 16GB Memory Card can record up to 1 day, 32GB is 2-3 days, and 64GB about 6-7 days. Micro SD card can be extracted from CCTV to be save and view in computer. 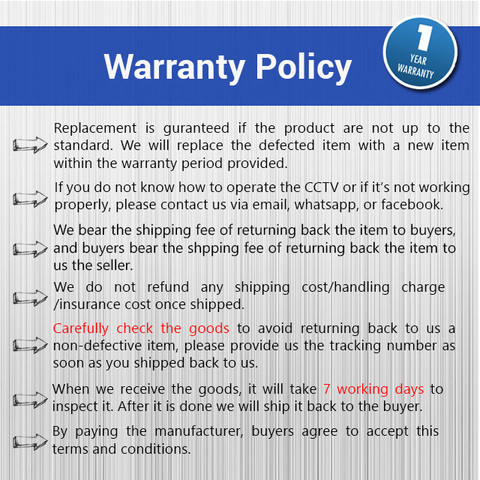 1 year warranty from the date of invoice issued. 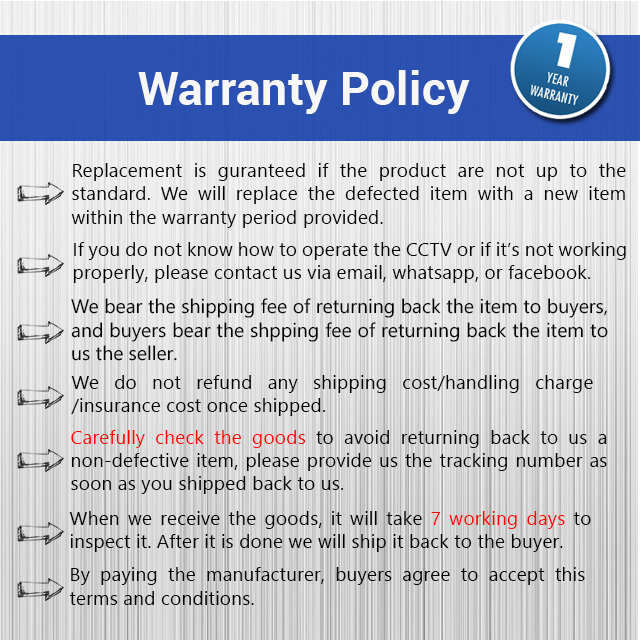 Warranty considered VOIDED if warranty seal on bulb camera is broken.